A new myth says volume buttons and mute switch on iPhone 4S are in a slighly different position, meaning current iPhone 4 cases does not fix, plus the supposedly fixed 4S antenna can not be used on the iPhone 4. Is this myth confirmed, plausibe or busted? They're the same as the Verizon iPhone 4, but slightly different from the AT&T iPhone 4. Where would one obtain the very nice driver you use to open the back of the phone? Urban dictionary? Aside from the fact that anybody can write anything there, most of the entries agree that "sike" is a misspelling of "psych". And "psyche" is pronounced "sikee", and it's a different concept. is the rear facing camera the Omnivision sensor or the Sony one? Looks like the OVTI one. Anyone know what the Audio Chip is? are you sure both triquint chips are power amps/ some are saying one is just a filter?? Are there any changes to the GPS chip in the iPhone 4S compared to iPhone 4? 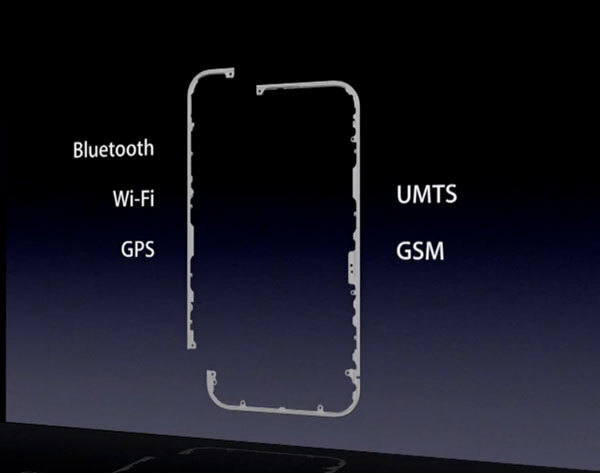 I noticed in the iPad 2 tear down you labeled it's GPS chip as a "monolithic". Is that monolithic vs. assisted GPS? The iPhone 4S's A5 is clocked at 800 MHz. Even if Apple has limited the chip's performance, the A5 is still a 1 GHz processor. Audio chip is still Cirrus Logic as you can tell by Apple 338S0973 chip that ChipWorks thinks is a Power IC. Its not ..its the Codec. Can you see which company makes the ambient light sensor? Is it in any way possible to swap the front facing camera for a better one? I hate that camera. It's garbage. Is the back glass more break proof (Gorilla glass perhaps) than the previous generation? Bought 4s just 3 days ago and this evening it fell on the ground and to my surprise the screen turn white.I love the phone.Dont know what to do now.Can any one advice? Where is the internal storage? Please turn over the image sensor and let us know what it is. Did Apple end up going with Sony for the camera, or is it still by Omnivision? I didn't see any mention in the iPhone 4S teardown about the proximity sensor. I've had my iPhone 4 replaced 3 times, first for the proximity sensor problem, then for the yellow screen, finally because it wouldn't install IOS 5. The second replacement phone also had intermittent problems where my ear would put the phone on mute, or start 'dialing' while I was on a call. I'm really interested to find out if they did anything about this with the new phone. Thanks for the teardown, brilliant as usual. But I'm wondering about the new antenna configuration. On the 4, the antenna was two isolated pieces - as shown here http://images.anandtech.com/reviews/gadg... - but on the 4S it seems to be three isolated pieces. Which of these are antennas, and for which radios? I'm wondering what they've done to address the "death grip" problem. Are the Verizon iPhone 4 backplates compatible with the iPhone 4S (all carriers)? Where is the GPS module? Still Broadcom chip? does the camera rattle? as its reported to happen in several iphone 4s that they have rattle issue including me! I know this comment is a little late, but you said that this was a German iPhone 4S, right? Have you done a tear down an either an AT&T version of the retail unlocked version of the 4S? Thanks for sharing this info. Now I know how to unlock my Iphone! Is it possible to fit an iphone 4s processor into an iphone 4??? What to do if iphone 4s hungs ang the screen is enlarged? During reassembling the plastic court (30 pin dock connector) after it function of home boton, charger, microphone doesn't work. What is the part number and how to order it?